A lovely vegetarian restaurant set in a new world environment, Tamarind Cafe' proprietors Khun Sylvie Bruzeau and Khun Luka Wong welcomes traditional vegetarians and the health conscious looking for exciting cuisine. 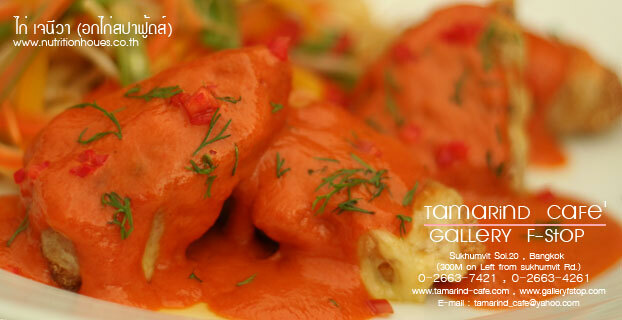 Tamarind Cafe' is divided into 3 floors, the ground and 1st floor exhibiting creative photographs, which are regularly changed; the 2nd floor being a beautiful roof garden. 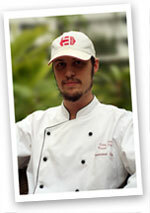 Chef Colin Stevens recommended dish is Geneva Chicken. Created from �SPA foods� succulent veggie chicken breast and served on a bed of homemade pasta and fresh vegetables; covered with a savoury chilli and cream sauce and topped with melted Swiss cheese, this dish is a taste sensation! 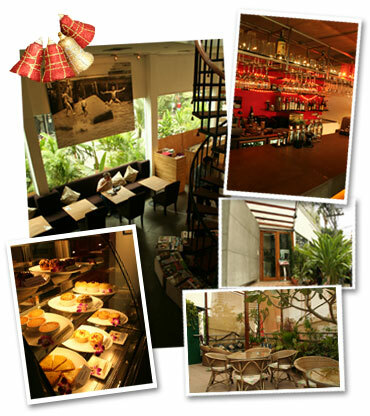 Tamarind cafe' also offers a wide variety of teas from different countries around the world. Mon - Fri : 11.00 - 23.00 hrs. Sat - Sun : 09.00 - 23.00 น.